Day 5 didn’t happen. Oops. Well, it happened—I taught, I napped, I drank horchata and ate pizza—and then I went to bed, forgetting all about my blogbligations (blobligations?). It was a good night. 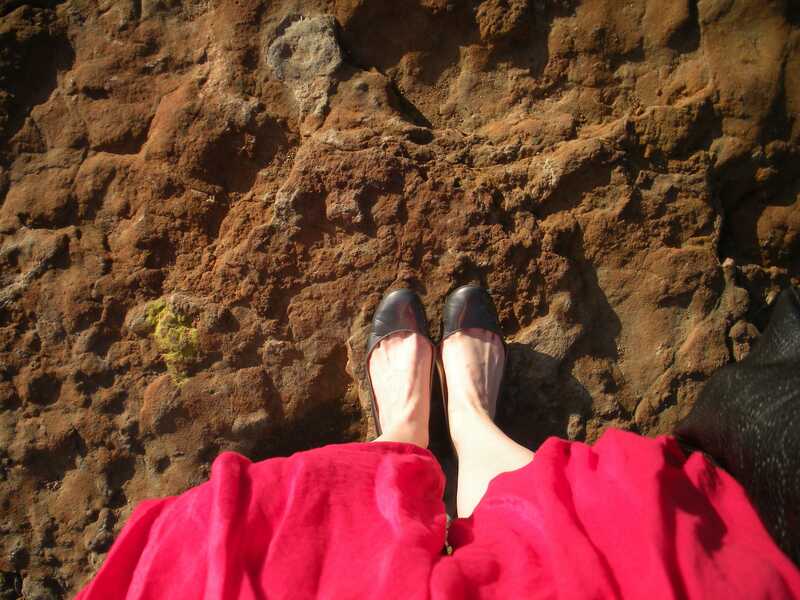 I’ve touched down on both coasts in the last few weeks— here’s a picture of my feet on a cliff in San Diego, where my lovely friend B. was wed— and, while getting away is good, being home feels luxurious right now. Of course, that much time away from home means that my refrigerator contains some horrors as well as a good measure of guilt (in the form of lovely produce that I haven’t had time to prepare). After too many weeks, I finally got around to shelling and cooking a bag of cranberry beans from the farmers’ market— I love this Jamie Oliver recipe for “humble beans.” Speaking of Jamie, I was quite cross to find my DVR devoid this morning of any new episodes “Jamie at Home”— apparently, AT&T has not been able to negotiate a new contract with Cooking Channel and Food Network. It’s enough to make me think of cutting back my cable package. that is particularly dumb considering that food network and cooking channel are both owned by food network.